New American Cuisine comes to life at Bayside Restaurant in this custom-designed location overlooking the harbor in Newport Beach, California in the United States. Award-winning Executive Chef Paul Gstrein brings culinary drama to his inventive dishes for lunch, dinner and the enormously popular Champagne Sunday Brunch. Lunch, dinner or brunch dining may all be enjoyed al fresco on our wrap-around patio, made comfortable with built-in heaters and sun drapes. Complementing the kitchen is a circular glass wine cellar that boasts more than 2500 bottles of wine favorites from around the world at Bayside Restaurant in Newport Beach in California. Bayside also hosts a rotating modern art exhibit, featuring carefully selected works that enhance the ambiance, and are available for purchase and further, nightly live entertainment enriches the lavish surroundings with soulful jazz. 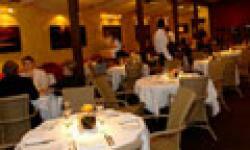 Lastly, Bayside provides an elegant venue for many special occasions. For more information about our event offerings, visit our Group Events page. From wedding receptions to corporate Functions, Bayside Restaurant can accommodate from 20 to 200 guests with the ideal setting. Take a tour of the rooms available to you. Our Tower Room provides an intimate, private setting accented with antique Japanese screens, elegant furniture and our magnificent Wine Cellar. The Tower displays 270 of our wines in a beautiful glass and stainless steel setting. 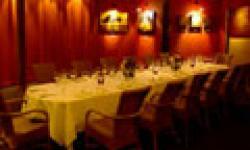 Available daily for business and social gatherings, the Tower Room seats up to 35 guests for lunch or dinner, 75 for cocktail receptions. Overlooking beautiful Newport Harbor, our Terrace offers a relaxing setting for a private dining experience, business affair, cocktail mixer, wine tasting or wedding reception. Available for lunch or dinner, the Terrace seats up to 70 guests. For larger dinner receptions, weddings and special events up to 120 people, the Main Dining Room offers an alluring setting designed for comfort and elegance.